To disseminate the generic approach developed during the project. 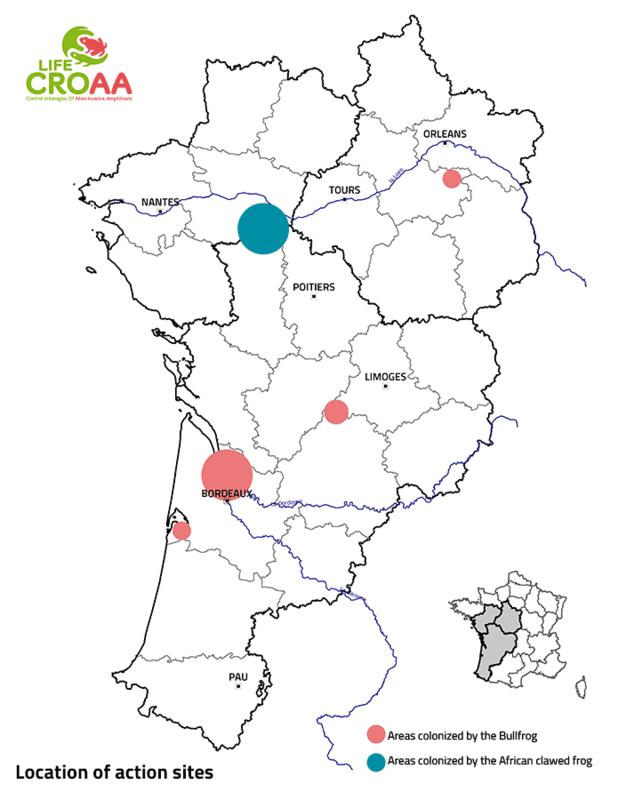 The control operations target the populations of Bullfrog (Lithobates catesbeianus) and African clawed frog (Xenopus laevis) present in France. For the Bullfrog, this concerns the departments of Dordogne, Gironde and Loir-et-Cher. For the African clawed frog, this concerns the departments of Maine-et-Loire, Deux-Sèvres and Vienne.